Mr. Raymond Anthony is the staff podiatrist at CTMH | Doctors Hospital. With over 30-years clinical experience, Ray specializes in medicine and surgery of the foot, clinical biomechanics and foot orthotic therapy, sports medicine, paediatric (children) lower-limb disorders, and wound care. 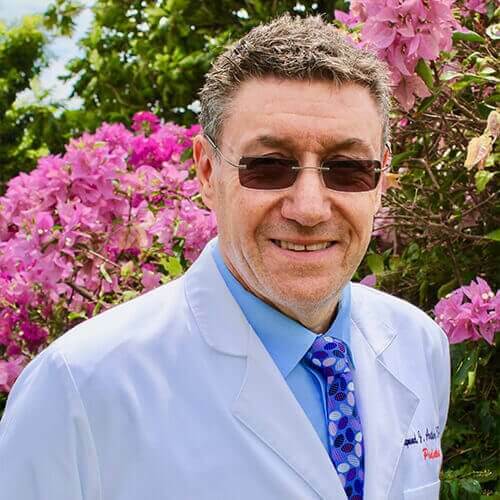 A graduate of the Chelsea School of Podiatric Medicine (UK), Ray is a member of the Society of Chiropodists and Podiatrists (UK); a Fellow of the College of Podiatric Surgery (UK), and a certified National Alliance of Wound Care (US) specialist. Before joining CTMH | Doctors Hospital in 2004, Ray spent 10-years as a paediatric foot specialist at Bromfield Hospital, Chelmsford, England where he also completed his surgical residency. For 4-years, Ray directed the Sports Injury Clinic at Haringey Athletics Club in London, England where he treated a number of world-class athletes including Olympians. Ray has worked with two London-based Premier League football clubs, and the UK Commonwealth Games track and field team. From 1990 to 2008, Ray owned and directed RX Laboratories, the most respected foot orthotics laboratory in the UK, and Karger AG (Switzerland) published his medical textbook The Manufacture & Use of the Functional Foot Orthosis in 1991. Patients may contact Raymond Anthony at yk.yr1556200009taido1556200009p@yno1556200009htnar1556200009. Call CTMH | Doctors Hospital on 345.949.6066 for consultations by appointment only.